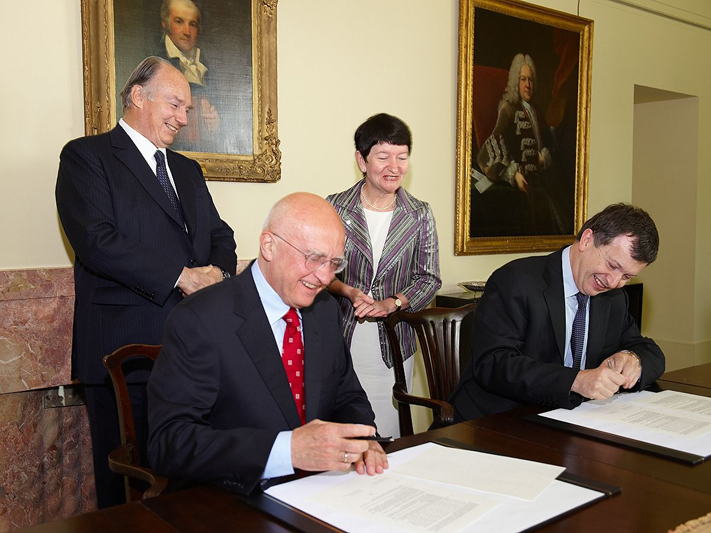 His Highness the Aga Khan and University of Cambridge Vice Chancellor Professor Alison Richard look on as Bohdan Krawchenko, Director of the University of Central Asia and Michael O’Sullivan, Director of the Cambridge Overseas Trust sign a Memorandum of Understanding between the two organisations. 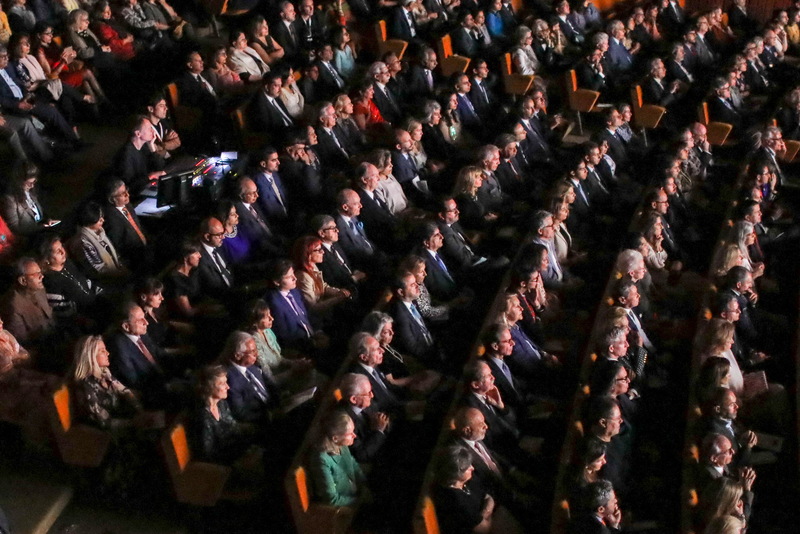 His Highness the Aga Khan, Bill Gates and other Honorary Degree recipients processing into Senate House for the Degree ceremony. 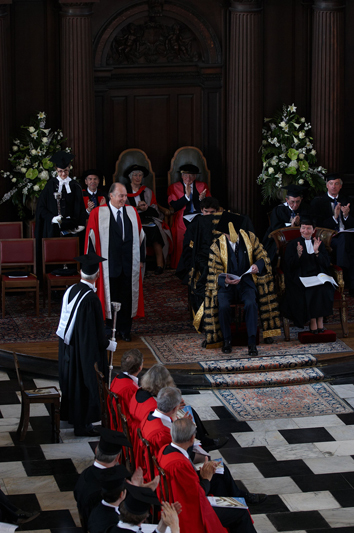 His Highness the Aga Khan at the Degree Ceremony at the University of Cambridge, where he was awarded an Honorary Doctor of Divinity degree. Honorary Degree recipients Sir Peter Maxwell Davies, Bill Gates, Melinda Gates and His Highness the Aga Khan, in conversation with the Chancellor of the University of Cambridge, His Royal Highness the Duke of Edinburgh. 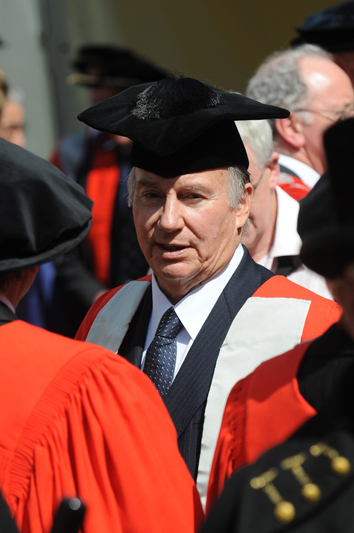 His Highness the Aga Khan at the University of Cambridge, where he was awarded an Honorary Doctorate of Divinity. 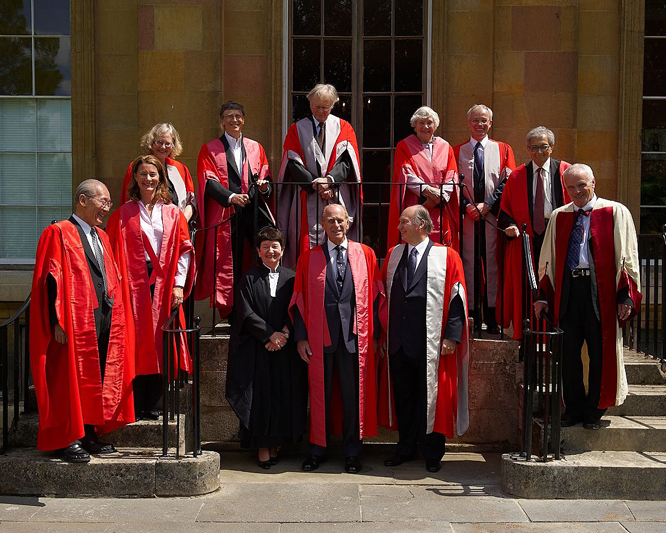 University of Cambridge Chancellor, His Royal Highness the Duke of Edinburgh, and Vice Chancellor Professor Alison Richard with His Highness the Aga Khan and other honorary degree recipients. 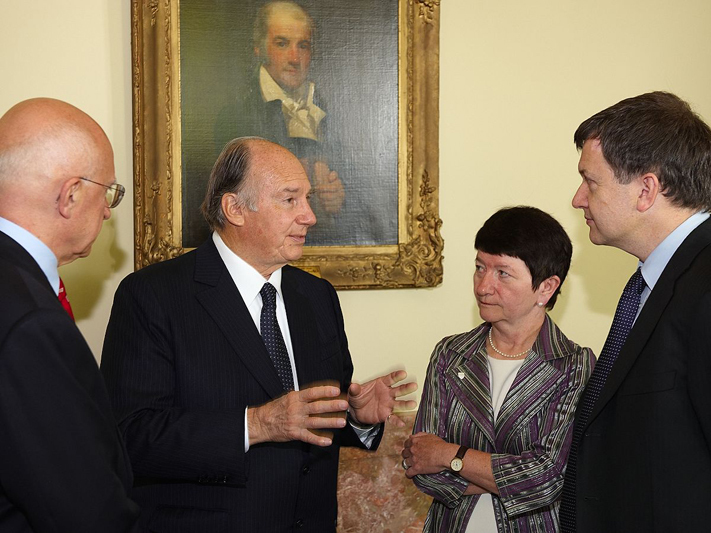 His Highness the Aga Khan in conversation with University of Cambridge Vice Chancellor Professor Alison Richard, Michael O’Sullivan, Director of the Cambridge Overseas Trust and Bohdan Krawchenko, Director of the University of Central Asia, following the signing of a Memorandum of Understanding between the two organisations. Cambridge, United Kingdom, 12 June 2009 - His Highness the Aga Khan, Imam (spiritual leader) of the Shia Ismaili Muslims and Founder and Chairman of the Aga Khan Development Network, today received an Honorary Doctorate of Divinity from the University of Cambridge’s Pembroke College – the third oldest of the Cambridge colleges.